Archaeologists have uncovered more than 100 ancient inscriptions carved into rock at Wadi el-Hudi, where the ancient Egyptians mined amethyst. In addition to the carved-rock inscription, the researchers also found 14 stele (inscriptions carved on a stone slab or pillar) and 45 ostraca (inscriptions written on pieces of pottery). Amethyst became widely popular in Egypt during the Middle Kingdom, a time when the pharaohs of Egypt learned that Wadi el-Hudi is a good source for the material. "Once the [pharaohs] found it, they kind of went bonkers to go get it," Kate Liszka, the director of the Wadi el-Hudi expedition, told Live Science. During the Middle Kingdom, "they were bringing it back and making it into jewelry and doling it out to their elite and their princesses." Though Wadi el-Hudi was surveyed in the past by other scholars, little excavation has been done and the surveys missed many inscriptions. "The site is just so full of inscriptions behind every boulder and around every wall that they missed a lot of them" Liszka said. The team is using 3D modeling, reflectance transformation imaging (RTI) and photogrammetry, among other techniques, to help find new inscriptions, map archaeological remains and reanalyze inscriptions discovered by scholars who surveyed Wadi el-Hudi in the past. This work has taken on a greater urgency as modern-day gold mines have opened in the area, causing damage to archaeological remains. 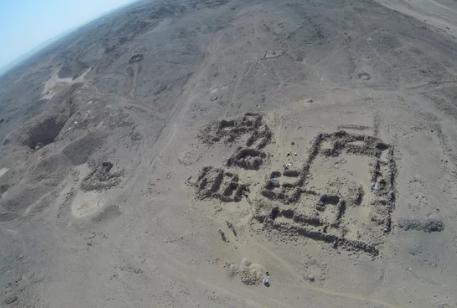 The team is hoping that the inscriptions, along with other discoveries made during the excavations, will shed light on the many mysteries surrounding Wadi el-Hudi. For instance, it's not clear if the miners were working at the site of their own free will. "I don't know if I'm excavating a legitimate settlement where people were treated well or if I'm excavating a prison camp," Liszka said. Some of the inscriptions say that the miners were proud of their work, suggesting that they may have been there of their own free will. Also, so far, no bodies have been found, suggesting that anyone who died was brought back to the Nile Valley for burial rather than left out in the desert, researchers said. The inscriptions also show that there are places where groups of soldiers were looking down at the mines, leading researchers to wonder if these soldiers were protecting the miners or making sure the miners kept working. One inscription shows two soldiers wrestling each other while passing time. Another mystery: How did the ancient Egyptian government get water to the miners? The nearest possible well is 1.9 miles (3 kilometers) away from Wadi el-Hudi, and it's possible that it wasn't in use long ago. "Best-case scenario, they were carrying water for 1,000 to 1,500 people a minimum of 3 km, but possibly in from the Nile [River]," which is about 18.6 miles (30 km) away, Liszka said. During the excavation, the team found a mysterious, 3,400-year-old stela written in the name of a senior official named Usersatet, who was viceroy of Kush, a region to the south of Egypt. It dates to a time when there was no mining activity at Wadi el-Hudi and the site had been abandoned. This leaves archaeologists with the question of why someone bothered to drag the stela 18. 6 miles into the eastern desert and leave it at Wadi el-Hudi.